Vudu is offering some free movies for streaming, but don't expect to find any recent releases. 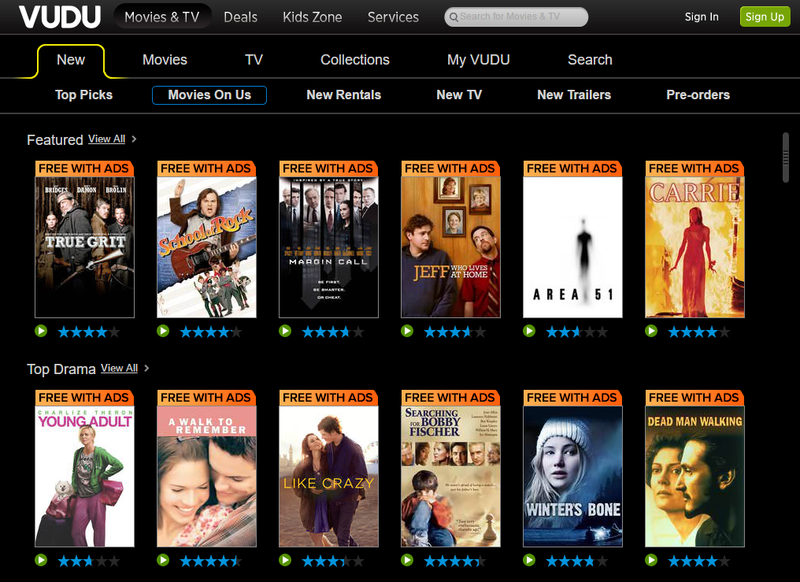 Walmart-owned video rental streaming service Vudu has a plan to entice new users: the freemium model. Vudu quietly rolled out a new service called Movies On Us that, as its name suggests, provides free movies to Vudu users. Why this matters: Just like Spotify’s free tier, Vudu’s new ad-supported service is a way to encourage more people to create accounts on the streaming service, with the hope being that further down the road those same users will turn to the rental section and pay up for a premium experience over what the free tier has to offer. The free tier also gives Vudu an edge over most video streaming services, which lack a comparable feature—excluding Crackle. Vudu’s free Movies On Us. As this is a free tier, don’t expect to see too many gems pop-up the way they might on a service like Netflix. This is more like perusing the DVD bargain bin at Target, and just like those bargain bins, you will find the occasional gemworth watching (or at least re-watching). Some worthy titles available through Vudu’s Movies On Us include True Grit (the remake), Margin Call, Get Shorty, Carrie, Winter’s Bone, Point Break (the original), and All Dogs Go To Heaven. Vudu’s Movies On Us works across devices including Android and iOS, as first reported by Android Police, but unlike Vudu’s regular offerings Movies on Us is not available for offline viewing. You won’t find a ton of must-see offerings on Vudu’s new free service, but if Universal Solider or Star Trek: Nemesis fits the bill for your next classic movie night, it’s worth a look. It’s free, after all.